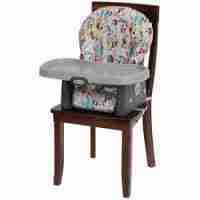 Huge variety of Galveston highchair rentals for babies and young children to fit every budget from Rockabye. 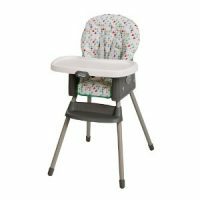 Our Deluxe Galveston Highchair Rentals – full size highchair featuring multi position recline, 5-point harness and removable tray. 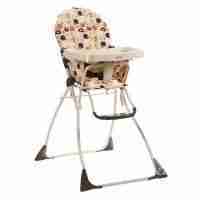 The Basic highchairs have a 3-point harness, removable tray and stationary position. Spacesavers have no legs, but instead strap to a dining chair. Although spacesavers do recline and have a 5-point harness. Meal time boosters intended for toddlers. Booster chairs strap to a dining chair and boost little ones to table height. Also, boosters include a 3-point harness and a small tray. When visiting from out of town, we deliver to hotels, condos, vacation rental houses, and private residences. Do you have multiple children? Great, we offer options for young children of all ages. Our inventory also provides a terrific option for special events, such as weddings and conferences. All highchairs and boosters are fully cleaned sanitized and bagged to assure cleanliness for rental.